A teen girl unravels the mysteries of a secret society and their most dangerous invention in this adventure-swept romance set in Victorian London.When a fire consumes Meg’s home, killing her parents and destroying both her fortune and her future, all she has left is the tarnished pocket watch she rescued from the ashes. But this is no ordinary timepiece. The clock turns out to be a mechanical key—a key that only Meg can use—that unlocks a series of deadly secrets and intricate clues that Meg is compelled to follow. Meg has uncovered evidence of an elite secret society and a dangerous invention that some will stop at nothing to protect—and that Meg alone can destroy. Together with the handsome stable hand she barely knows but hopes she can trust, Meg is swept into a hidden world of deception, betrayal, and revenge. The clockwork key has unlocked her destiny in this captivating start to a trilogy. I am always on the hunt for the next good YA steampunk book, and though vague this one looks like it has potential. Throw in a handsome stable hand and I totally must have it. On the outskirts of Joya d’Arena, small villages fight for survival against the onslaught of sorcerers and raiders. Mara’s village has been safe–so far–but Mara decides to escape anyway. Escape from her harsh, abusive father. Escape with her first love. But when their plans fall on the same day that the animagi burn the village to the ground, Mara faces losses that could destroy her. She’s a survivor, though. She is going to make it through the mountains, and she is going to protect the refugees following her. Because there’s a rumored safe haven . . . and some say they have found the Chosen One. 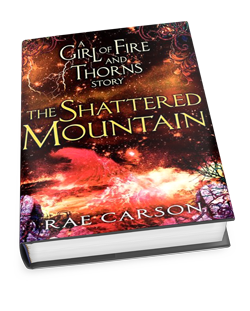 Told from Mara’s point-of-view, The Shattered Mountain is an alternate perspective of the beginning of the acclaimed The Girl of Fire and Thorns. I am so excited to get to know Mara better. I LOVE this series so much so another look into one of Rae’s characters. Just too much fun! =) Really looking forward to it! The blurb for this one sounds hilarious. Sitting on a hot guy’s chest in the middle of the night? LOL! I imagine this will be a fairly serious story with some great comic relief. Count me in! I’m most excited for The Nightmare Affair! I got if off Netgalley and can’t wait! A mara sounds so fun! Reminds me of Sabine from Soul Screamers but hopefully this nightmare is more likeable than her. I got accepted for an ARC of The Nightmare Affair and I can’t wait to start it! 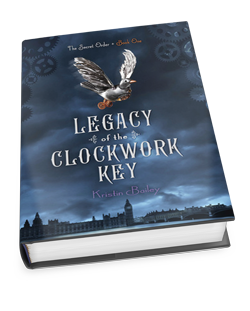 The Legacy of the Clockwork Key is another on my WANT list, as is Girl of Fire and Thorns. I hope you guys get the chance to read these when they come out! So many awesome books! 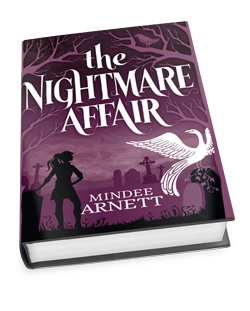 Nightmare Affair is one I am dying to read!!! It does look like a good one, huh? Awesome picks! I’m hosting the blog tours for both Clockwork Key and Nightmare Affair so that’s exciting for me and all three covers are so lovely. thanks for sharing. That is exciting! I hope you enjoy both books! These are some great picks! I’m really excited for Clockwork Key! Yay! Thanks so much for visiting our WoW! Yes, yes! Yes to all three of these!! The Shattered Mountain was my pick last week. Can’t get enough of Rae Carson! I know just what you mean. LOVE her. I really, really want to read The Legend of the Clockwork Key!!! It just sounds like its right up my alley!